Mini Split kits are great HVAC units to install with many DIY kits available. Many home owners save money installing mini splits systems but sometimes problems can come up. 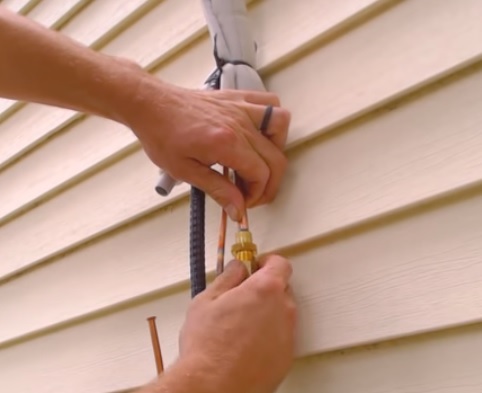 Installing the line-set is one part that seem difficult but is a straight forward DIY job. Flaring the copper line-set ends is one such task that sometimes needs to be done. Keep in mind most DIY mini split kits come with the line-set flared and simply need to be attached to the inside and outside units. If there is extra length in a line-set it can be rolled up in a loop behind the outside condenser. Rolling up any excess line is the most common install method but some do prefer to cut the line-set to size. Another possibility is if the factory flares leak and need to be re-flared. 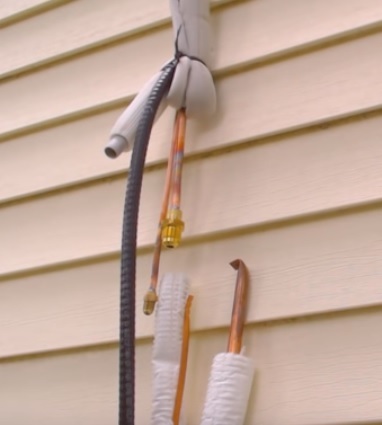 What Is a Mini Split HVAC Line-Set? 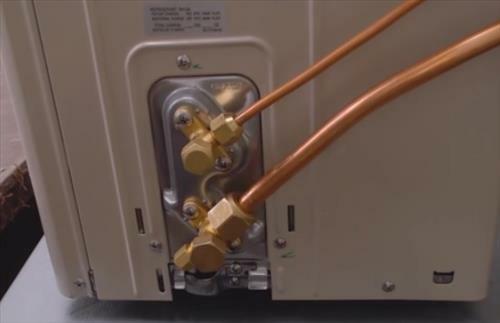 A line-set is two copper lines that transfer refrigerant between the inside and outside condensing unit. The larger line is called the low pressure line while the smaller one is called the high pressure line. Refrigerant is pumped in a cycle transferring heat inside or outside depending on the thermostat setting. A flare is the tip of the copper line spread out so it can be attached to and bolted into place. 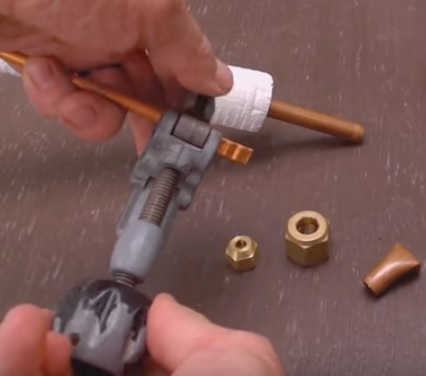 A bolt is placed on the copper line before the ends are spread out so the line can be screwed into place creating a seal. 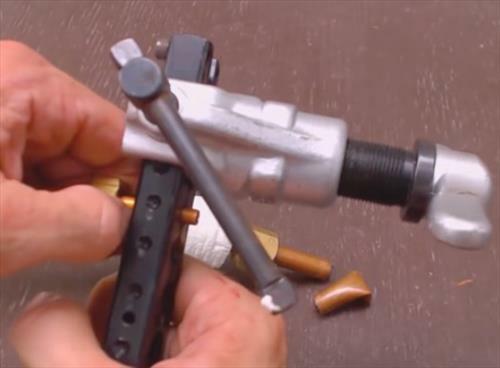 Some basic tools will needed mainly a tube cutter and flaring tool. There are many brands and types of cutters and flare tools. 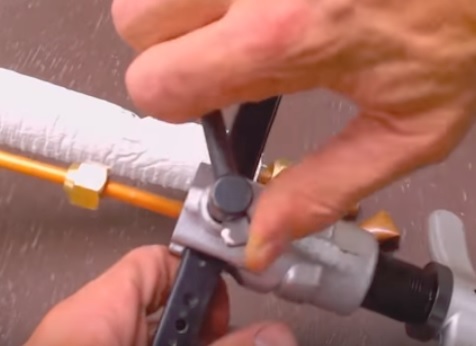 Every HVAC tech has a type of flare tool they prefer but any will work when used correctly. 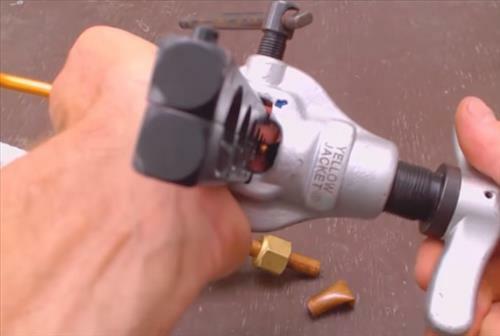 If you need to buy a flare tool simply get the best one that will works for you. 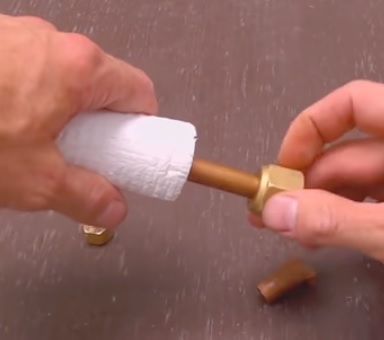 Place the nut onto the copper tube. Using the correct size hole place the Flare Tool over the copper line sticking out roughly 3/16 of a inch. Tighten the flare tool to hold the copper line in place. Slowly tighten the Flare tool and it will create a flare at the tip. Remove the Flare tool and the tip should be flared ready to be bolted up. 1… Cut the tip with a tube cutter. 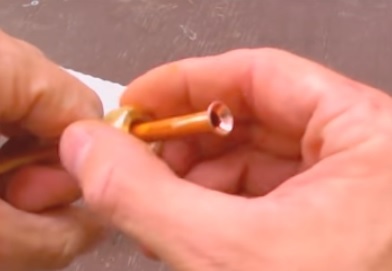 2… Place the nut onto the copper tube. 3… Using the correct size hole place the Flare Tool over the copper line sticking out roughly 3/16 of a inch. 4… Tighten the flare tool to hold the copper line in place. 5… Slowly tighten the Flare tool and it will create a flare at the tip. 6… Remove the Flare tool and the tip should be flared ready to be bolted up. 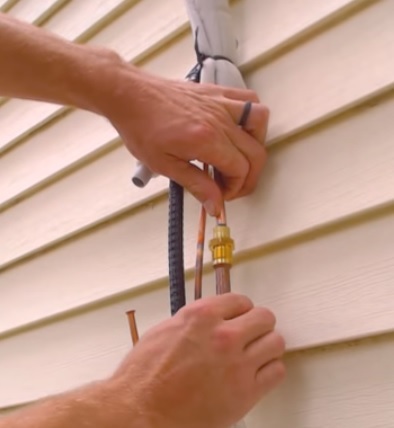 When installing the copper line-set the lines will need to be bent to fit into place and along the wall. The lines are soft and easy to bend simply take your time as to not kink the line and block the flow of refrigerant. The ends will bolt together to create a seal. Most often Nylog is used to help the flared ends seal up. Tightening up the bolts on the line-set can be done without a torque wrench for those experienced enough to know when a good seal is made. If you have limited experience a torque wrench can be bought and the correct tightening specifications followed. Both methods work depending on the installer with it depending on the skill level. Once the line-set is all connected it needs to be put into a vacuum and tested for any leaks. 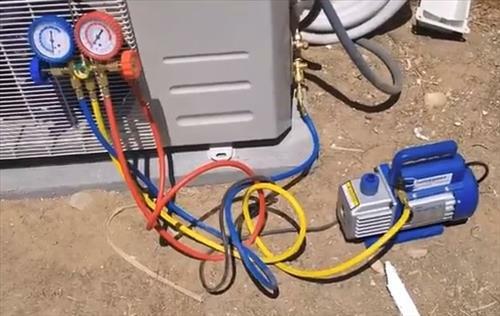 The most common method it to use a HVAC vacuum pump and gauges to set a vacuum in the lines. Once a vacuum is placed on the unit it is left to sit for awhile and see if the vacuum is lost. If the vacuum is lost there is a leak and it needs to be fixed. If it hold the refrigerant can be released into the system. Some HVAC techs will use nitrogen before setting the unit into vacuum to test for leaks. While using nitrogen can be a good idea it is not required as a unit not holding a vacuum has a leak. 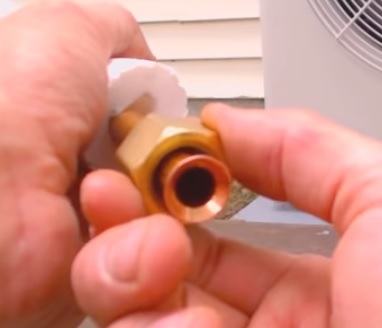 Installing a line-set on a mini split may seem overwhelming to anyone who is new to HVAC but is not difficult for a handy DIY type person. The main goal is to have the two lines run between the inside and outside units with a good seal. The two copper lines need a good seal as to be in a vacuum and not leak out any HVAC refrigerant. Most DIY kits will come with flared tips that simply need to be tightened up. If there is extra line it is common to roll up the excess behind the outside condensing unit. Some HVAC tech will cut the lines to fit without rolling it up which is a preference. Keep in mind if a line-set is shortened too much the refrigerant amount will need to be adjusted.